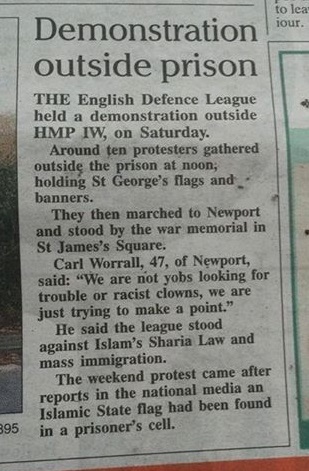 At the end of the demonstration, according to a report in the local press, the EDL marched into the centre of Newport and gathered for a further protest at the war memorial in St James Square, before presumably repairing to the nearly Costa Coffee shop, where the harassment by Worrall took place. 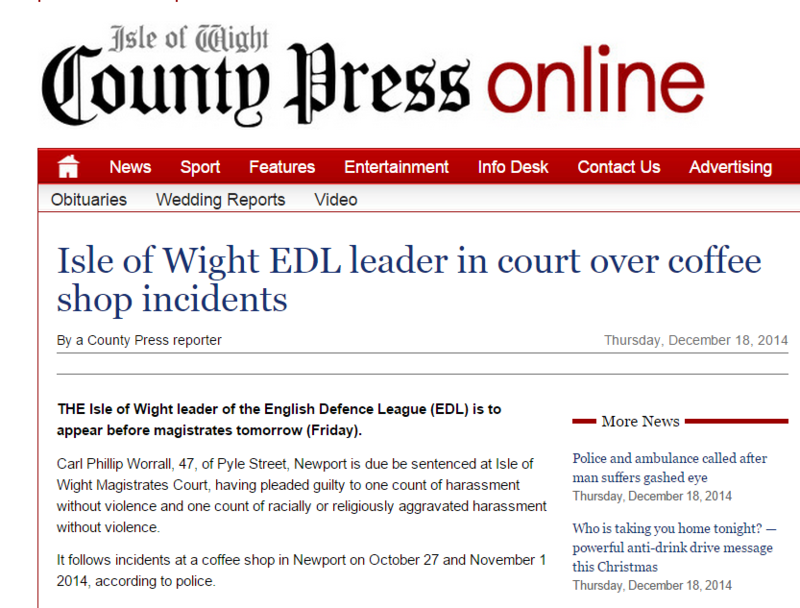 Of course, it turned out that Worrall was indeed a yob and racist clown looking for trouble. As yet we have no details of his racist behaviour (other than his own version of events) or of the sentence he received. But racially or religiously aggravated harassment, even of a non-violent character, is a serious criminal offence that carries a potential six-month prison sentence at magistrates’ court (or a two-year sentence if referred to crown court). It would also be interesting to know what role Dave Bolton played in this affair. Was he present at Costa Coffee when the harassment took place? Did he take any action to prevent it? 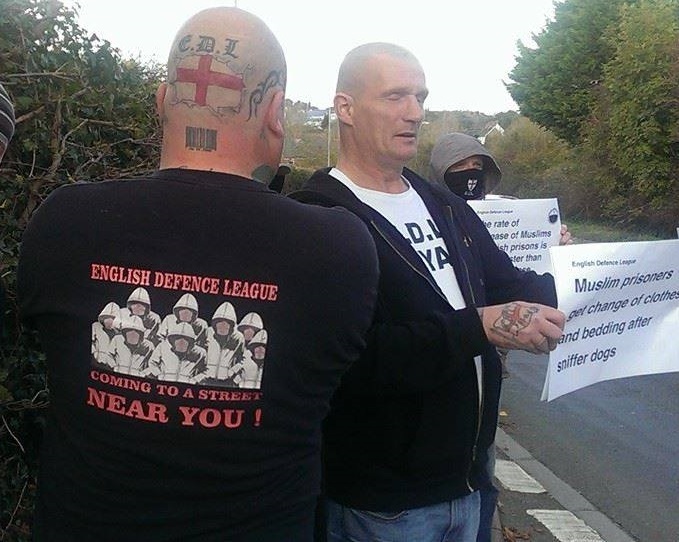 Or is the EDL happy to tolerate racially aggravated criminal behaviour by its members? 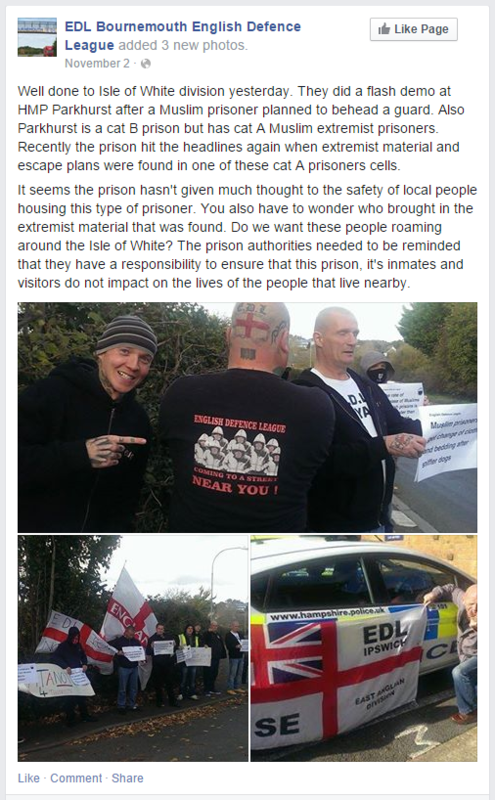 This entry was posted in Analysis & comment, English Defence League, Far right racists, Featured analysis, UK by Bob Pitt. Bookmark the permalink.